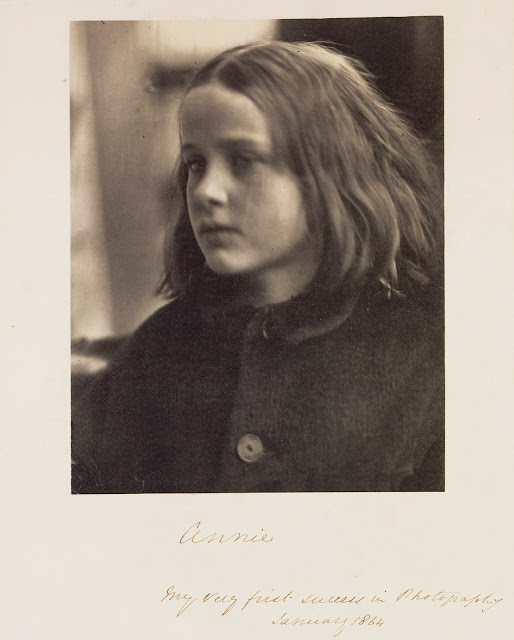 Cameron made this portrait of Annie Philpot, the daughter of a family friend in January 1864, just one month after receiving her first camera and inscribed other prints of it ‘My first success’. "Annie, my first success", 29 January 1864. Cameron's first print with which she was satisfied. “Having succeeded with one farmer, I next tried two children, my son Harding, being on his Oxford vacation, helped me in the difficulty of focusing. I was halfway through a beautiful picture when a splutter of laughter from one of the children lost me that picture, and less ambitious now, I took one child alone, appealing to her feelings and telling her of the waste of poor Mrs Cameron’s chemicals and strength if she moved. The appeal had its effect and I now produced a picture which I called ‘My first success’. It was at Dimbola in December 1863, that Julia Margaret Cameron, then aged 48, was given a camera by her eldest daughter, Julia, and husband, Charles Norman. Before actually owning what was an expensive and cumbersome piece of equipment, Cameron had been involved in various aspects of the photographic process - printing negatives and photograms, compiling albums as gifts, posing for photographs and helping to stage compositions. The gift marks the beginning of what would quickly become her all-encompassing application to the ‘art’ of photography. Setting up the coal store as a darkroom and the glass-enclosed chicken house as a studio, she began her single-handed photographic investigations fervently, annotating a portrait study of Annie Philpot as ‘My first success’ which she took in 1864. 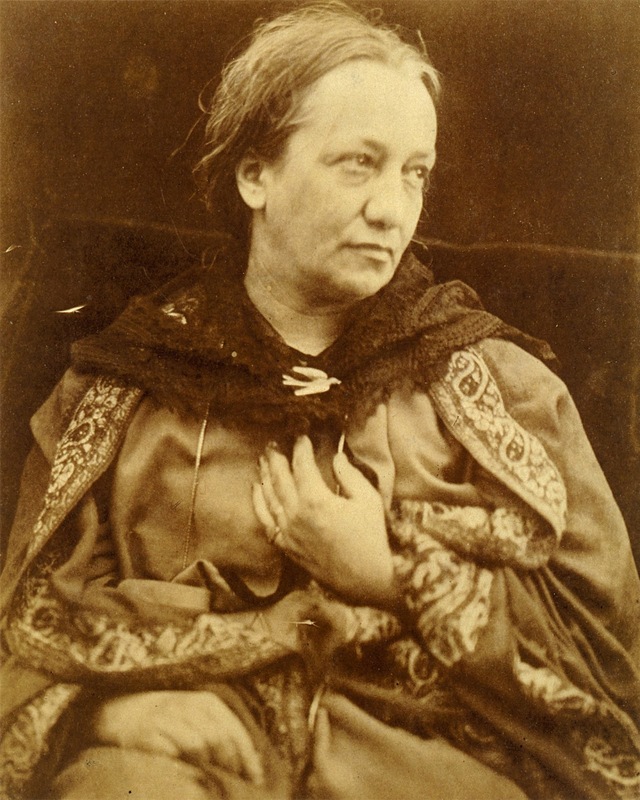 Julia Margaret Cameron was perhaps the most famous and influential portrait photographer of the 19th century. Although her photographic career began later in her life and was short lived, spanning just eleven years (1864–1875), it was truly epic. She shot the glitterati and literati of Victorian Era England and, in the process, pioneered a new style of picture taking. She was criticized by the males of her profession for being smudgy or out of focus. The fact is that Cameron had very sharp eyes and she chose to rack her lens into focus and then unfocus it to her tastes even after her son Harding taught her how. Her soft-focus, closely cropped portraits are now revered as the first examples of photography as art that continue to influence modern photography today. 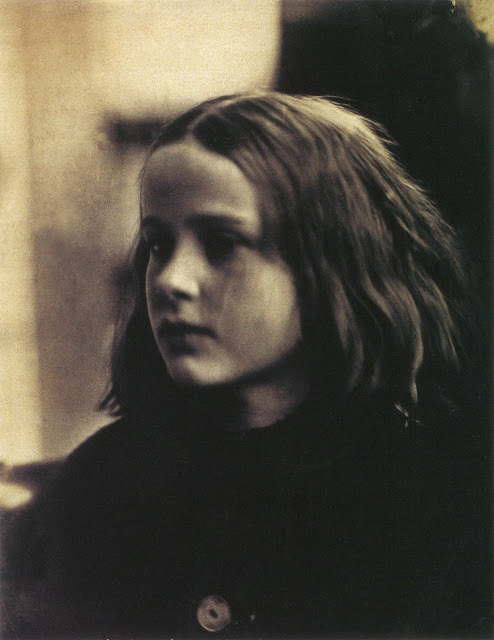 Portrait of Julia Margaret Cameron, by her son Henry Herschel Hay Cameron, ca. 1873.